Annabelle and her mother Susan looking at Katharine Wright’s pressed flower collection. 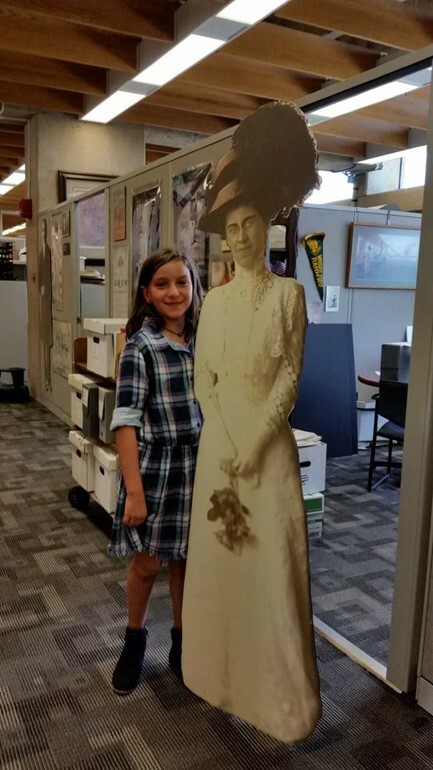 Special Collections and Archives gets all kinds of researchers. They include lawyers, scholars, genealogists, aerospace medicine experts, the news media, historians, students, filmmakers, archaeologists, authors, celebrities, and government officials. This summer we had a special researcher from New York. 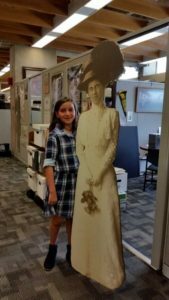 Annabelle, 9, and her mother, Susan, visited the archives so Annabelle could do research on Katharine Wright, younger sister of the Wright Brothers. Annabelle is interested in sisters with famous brothers. 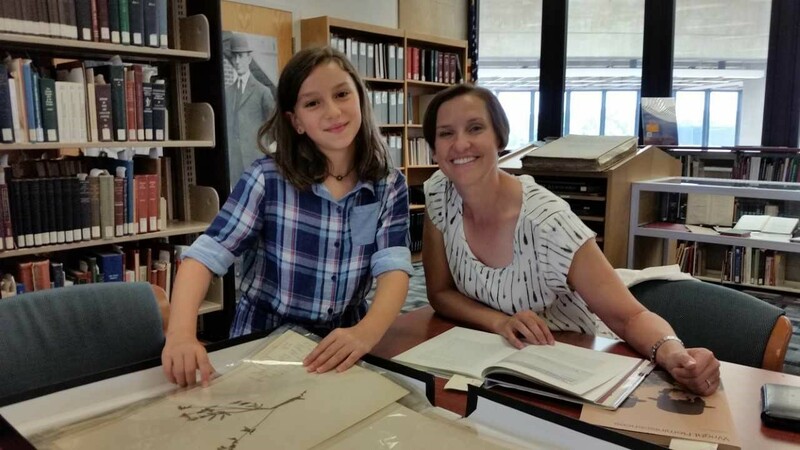 She got to see Katharine Wright’s report cards, personal letters, grade school autograph album, photographs, and even the pressed flower collection she created in 1891. How did you select Katharine Wright as one of the sisters you wanted to learn more about? Who are the other sisters you are researching? Why do you think it is important to tell the stories of the sisters of famous brothers? What did you find to be the most interesting thing you saw here in the archives? What was your favorite? 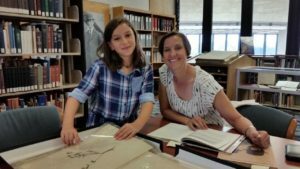 What do you think of doing research in an archives? Was it fun? Hard? Learn more about Special Collections and Archives by visiting our web site. This entry was posted in Local History, Outreach, Wright Brothers and tagged Katharine Wright, MS-1. Bookmark the permalink. Annabelle, I am so, so proud of your love of research especially sisters of famous. Brothers. What a unique topic. Keep me posted on your discoveries. Fascinating!